Month: April 2014 - ThirtySevenWest ThirtySevenWest - Creative ideas about personalized custom ribbons, woven tags and labels, personalized gifts and more!!! Spring has finally sprung! The dogwoods are blooming in all of their magnificent beauty, and everywhere you look you can see nature re-born in various shades of greens, pinks, and yellows. In fact, this time of year (other than the inevitable allergies) is so wonderful that many people call it their favorite season and eagerly await those first blooms that signify its approach. And along with all those glorious colors, heavenly scents, and new growth, comes the desire to be doing, going, and creating, which the winter months have kept on hold. Cleaning rituals, fresh decorations and more begin to occupy our minds, and many families are gearing up for the various spring-time gatherings and festivals. But this year, you can make your get-togethers and times of fellowship even more memorable by adding personalized printed ribbon to all of your decorations, deftly changing your occasions into celebrations of life. 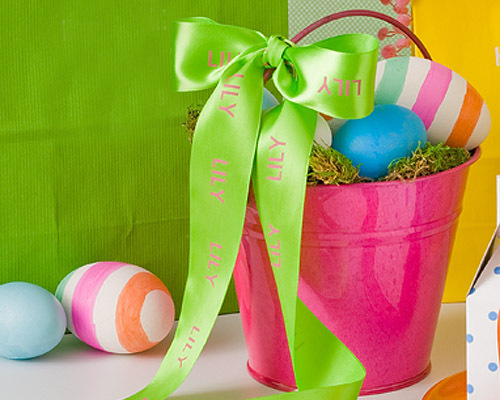 Adding a printed, personalized message to satin ribbon instantly transforms your Easter baskets into special, one-of-a-kind works of art. Mix it up this year, choose pastel colored ribbon printed in alternate shades of coordinating colors to really make your arrangements stand out. Seasonal colors include: light pink, yellow, light blue, lavender, light green, and red, but you can also combine them with slightly darker hues to present a professional appearance. When you print your ribbon with a personalized message, eloquent verse, or other spring-time saying, you create add style and meaning to your seasonal decorations. 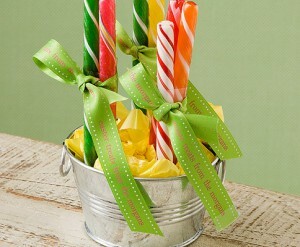 Tie personalized ribbon to your hostess gifts. It looks simply smashing when you add an elegant bow to flower arrangements, candles, or a bottle of wine, and I guarantee that the hostess will flip over such a thoughtful technique. 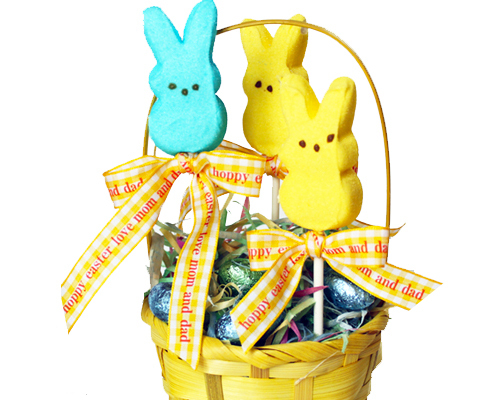 Use personalized ribbon to adorn Easter baskets, colored eggs, or giant chocolate bunnies. When you add a child’s name to their basket, or include a special saying, the printed ribbon itself becomes a treasured reminder of the day. Don’t forget the grown-ups. 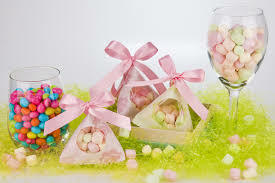 Use printed ribbon as napkin rings or place settings on your holiday table, or create tiny “nests” for the adults to take home by placing colored grass, jelly beans, and marshmallow chick peeps in miniature baskets, tied with personalized ribbon. For business owners, personalized ribbon can help get your company name out to your target audience. Try ordering enough to embellish any give-away type items for spring festivals, but don’t forget to include your contact information so that everyone can find you again. Personalized printed ribbon is a wonderful tool for turning all of your spring-time decorations into stunning displays, and it makes a wonderful addition to any gift. Contact us today to find out all of the wonderful ways you can turn your occasions into celebrations by using printed ribbon. Although the actual weather temperatures seem to be a little behind-hand on the matter, according to the calendar, spring has sprung. And this time of year brides-to-be, wedding planners, and all sorts of anxious parents are preparing to make this season’s wedding a remarkably beautiful and elegant event that will be remembered for a lifetime. At Thirty Seven West, we understand that as a bride, all eyes will be focused on you during your wedding. You’re the queen of the day, and as such, your wedding decorations, embellishments, and décor should reflect who you are. This is why we strive to offer a bounteous selection of personalized wedding accessories, custom ribbon, and even personalized garment labels that will enhance the elegance and appearance of your special day. 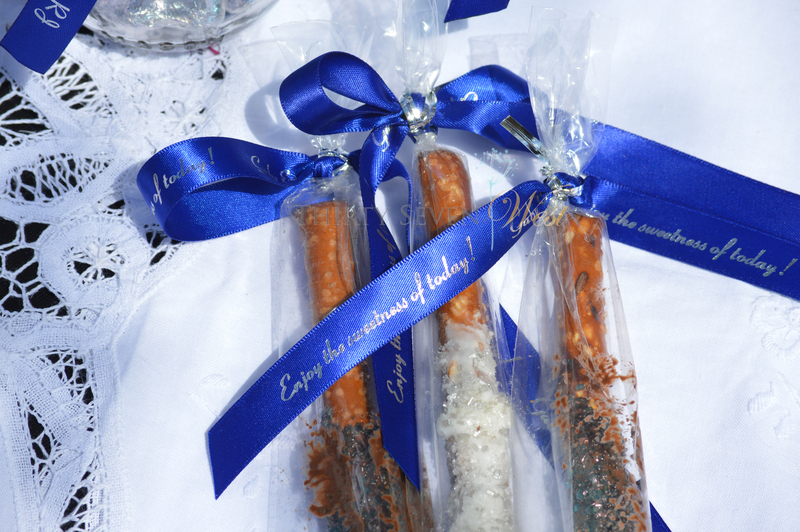 One way to make your wedding even more memorable, and at the same time add a special touch to your table, dress, and decorations, is by including personalized ribbon accents throughout. Printed ribbon can include just about any text or motif configurations that will add to the individual impression of your wedding celebration. 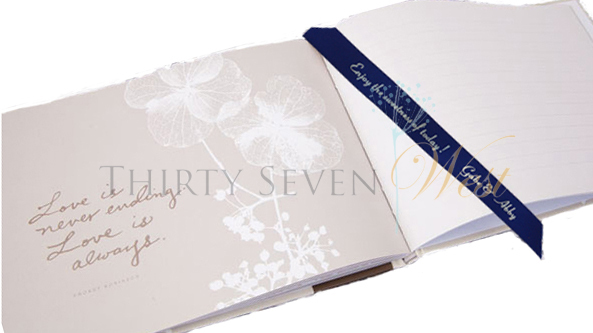 Plus the ribbon itself can become a unique addition to your memory album or scrapbook. 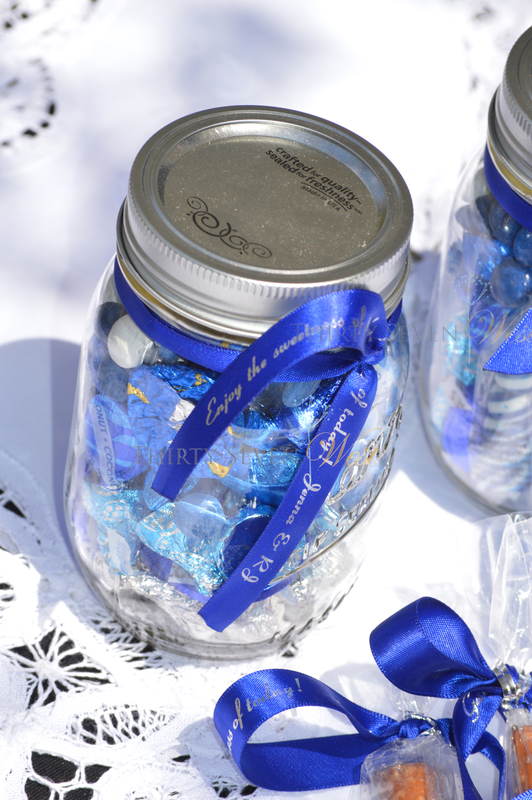 Use personalized ribbon that features the name of the newlyweds and the date of the blessed nuptials as closures for bagged Jordan almonds, delicate petite fours, or birdseed favors. You can use wide-width satin ribbon that has been customized with your text as elegant napkin rings, as an inventive vehicle decoration, or to add an elegant touch to traditional place setting name cards. Easily add the name of the couple, the date, or a bible verse that blesses the newly married pair to satin ribbon, and choose from a variety of artistic fonts. You an even add symbols or other motifs to printed satin ribbon and use it for all sorts of embellishments. Carry your theme by adding it to the bridesmaids and groomsmen gift wrappings before the big day, or have your salon weave the ribbon into braided up-do’s, for your flower girls or attendants. The little embellishments that are added to your wedding combine to create an overall impression of the style of your celebration. 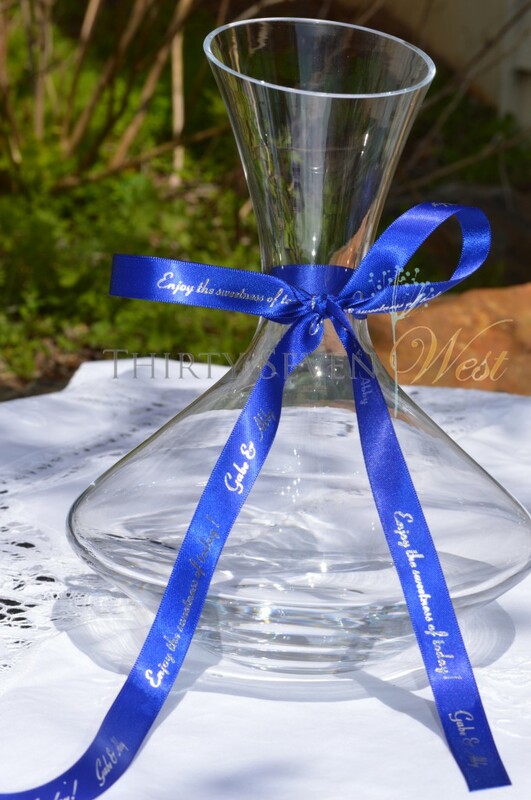 At Thirty Seven West we offer only the finest wedding accessories to beautify your showers, ceremony, and reception. Choose from our extensive selection of cake servers, quality picture frames, or glassware. You can have stemware etched, and other items engraved with your own personal message. The pieces themselves will become a treasured keepsake of your special day. Although most people may not think it, custom woven labels make a splendid reminder to add to the gifts you’ll give to your bridesmaids and groomsmen. Placing a personalized cloth label on ties or clutches add charm to the gift and reminds the “giftee” of the occasion. Use this unique method for showing the friends and family members who are involved in the festivities your heartfelt appreciation for their help. Your wedding is an extraordinary occasion, and will be remembered for a lifetime. Make it as memorable as it should be by including the little trimmings, embellishments, and custom decorations that will add elegance and style to every aspect of the celebration. 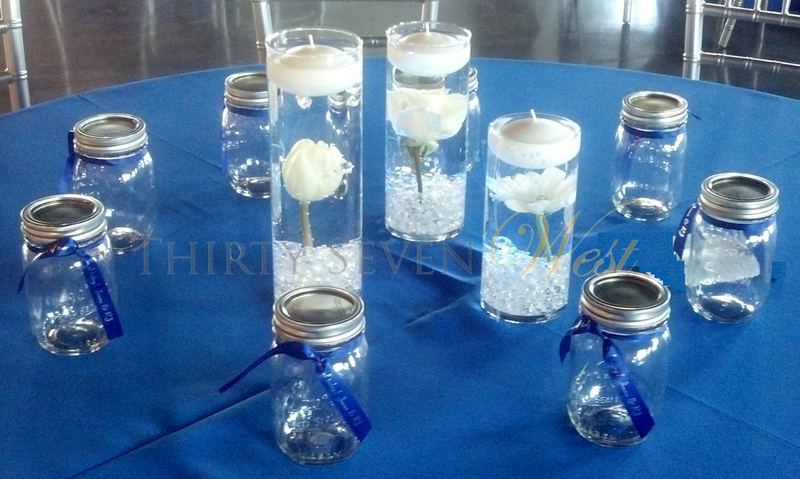 There are many affordable ways to include personalized enhancements and create memorable touches to your wedding day. 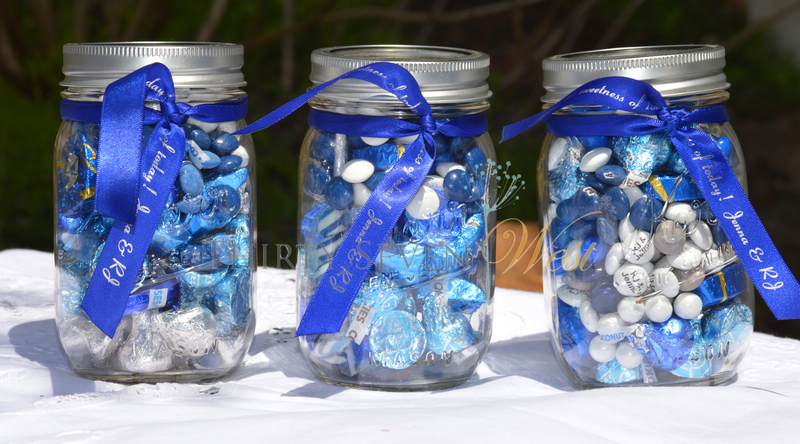 Contact us to see all the ways you can customize your wedding, today.